DESCRIPTION From the creators of one of the best-selling Xbox racing game series comes anothe..
From the creators of one of the best-selling Xbox racing game series comes another road-slamming installment of Forza Motorsport in Forza Motorsport 6. Experience driving the ultimate supercar Ford GT in legendary racing tracks together with a broader line of top notch high-performance super cars faithfully modeled after the most prestigious brands of today. Collect, customize, and race the cars of your dreams in this follow-up to 2013’s DICE Racing Game of the Year! 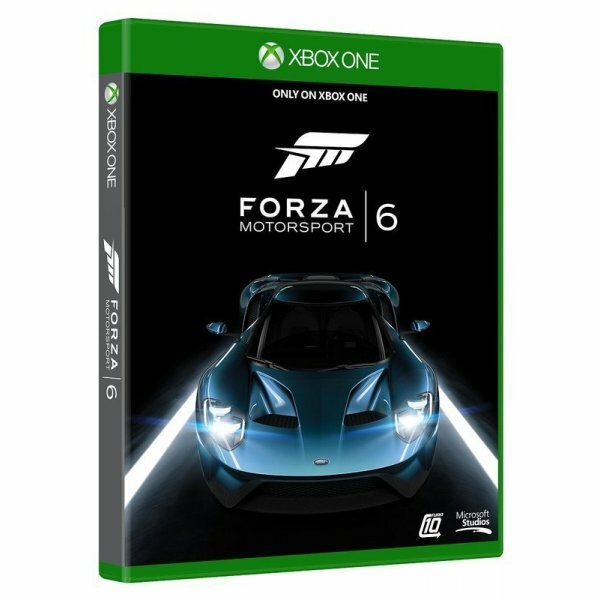 Grab your steering wheel and buckle-up for a total adrenaline rush in this ultimate racing experience in Forza Motorsport 6! Boasting with the most technically advanced racing simulation system in the series, Forza Motorsport 6 brings the thrill of real racing with spectacular tracks coming from earlier titles like Forza Motorsport 5, such as Circuit de Barcelona-Catalunya, Circuit de la Sarthe, Laguna Seca, Road America, Road Atlanta, Sebring, and other fictional race tracks. 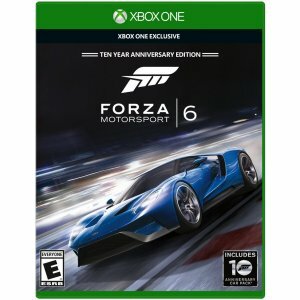 Featuring the latest versions of Ford’s renowned sports cars like the F-150 Raptor, Mustang GT350, and of course the Ford’s GT supercar, Forza Motorsport 6 offers a fun and realistic automotive experience for both car lovers and gamers! Get ready to showcase your breathtaking driving skills as you reach the finish line and become the fiercest racer in Forza Motorsport 6. Make the ground and wheels spark with a full-blast of speed and play either in single player campaign mode, split screen, or online multiplayer. Let the ultimate race begin!